Heather has been doing therapeutic massage since 2000 and is constantly reminded of the profound effects that massage can have. Most of her clients come weekly, twice a month or monthly for health maintenance and prevention, injury recovery, pain management and stress reduction. 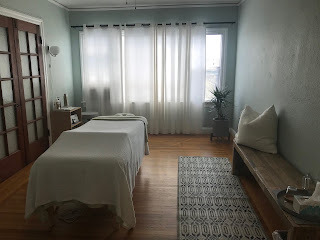 Her clients have been her best teachers and has studied modalities that include Swedish, Deep Tissue, Trigger Point, Zen Shiatsu, Thai massage, Lymphatic drainage and Reiki II. Her style is a blend of modalities and is always tailored to the individual. 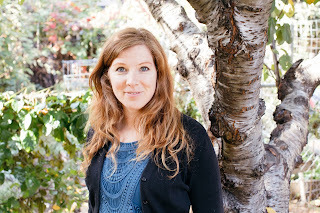 Heather became a Licensed Esthetician in 2004 at the SF Institute. She is determined to promote awareness and prevention of skin cancer having discovered her own melanoma at age 36. She believes that good skin care, diet, lifestyle and stress reduction can keep skin vibrant. She feels strongly about shining a light on the connection between cancers and what we put on our bodies. The skin is the largest organ and ingredients should be understood just as the ingredients in our food. Heather is retiring from facials in 2019 to refocus on bodywork and continuing education. Heather became a Nutrition Educator at Bauman College in 2008. She realized in her life and work that nutrition seemed to be the basis of many imbalances in the skin and body. She believes that wellness is a journey of curiosity and discovery for each individual and that diet is key in reducing chronic inflammation which is an underlying symptom of many discomforts.